Discover 50 ways to say thank you from The Secret Gratitude book by Rhonda Byrne. You'll also find 15 quotes from past greats who realized the power of gratitude. By giving thanks now, for everything that you have and everything that you know is on its way to you, you are emitting an energy to all-of-creation that is bringing you more than your greatest imaginings. This is because the Law of Attraction doesn't know whether your gratitude is real or imagined and brings to you what you feel to be true. Along with these wonderful ways of expressing thanks, you may also enjoy The Secret Quotes, The Secret Daily Teachings and The Magic Book. The inspirational words of gratitude below have been written by Rhonda Byrne in 'The Secret Gratitude Book'. Click on the book to read a preview of The Secret Gratitude Book. Thank you for my magnificent life. I give thanks that the perfect, the great, and the beautiful are expressing themselves through me. I am so grateful that I am unlimited, and that I can do, be, or have anything my heart desires. Today I am feeling love and immense gratitude for those people who are challenging me in my life. And I know my love and gratitude will dissolve all negativity. I am creating new thoughts, better thoughts, greater thoughts, and superior thoughts, today and every day. Thank you. I know that a thankful heart is always close to the creative energies of the universe. The true beauty of life is revealed when you have a grateful heart. I give thanks for the joy and love that surrounds my entire family and all my friends. Thank you for all the good that is being expressed in every area of my life. I give thanks that my heart is overflowing with peace, love and joy. There is a power within me that is greater than the world. To ignite the power of the Universe in me, I must be in harmony with love and gratitude. Just being alive is enough to inspire a constant rush of gratitude. I give thanks that I am supreme wisdom, love, and power. I am so grateful that my body is creating perfect health and harmony. I give thanks that the Universe is supporting me in every single thing I do, every day. The best life has to give is mine now. Thank you! I am grateful that everything in life is coming to me effortlessly and easily at all times. You can change anything and everything with gratitude. Love and gratitude can part seas, they can move mountains, and they can create miracles. With the deepest gratitude and faith, I know that everything is happening perfectly for me. A grateful person is thankful under all circumstances. You can change anything, and the path is gratitude. I am grateful that I am the brilliant conscious creator of my life and therefore all things in my life can be created or changed through my conscious direction. Today I am letting go of all negative feelings about me. Blame, be gone. Unworthiness, be gone. Doubt, be gone. Guilt, be gone. I welcome all my good thoughts about me. I command them to me. I embrace them. I give the deepest thanks for them. I am getting better and better every day in every way. Thank you. I am so deeply grateful that I am the master of my mind. Thank you for the fun, laughter, and joyous surprises that will flood into my life today. Thank you for the great news that is coming to me today. Thank you for all the wonders that pour into my life. With gratitude I ask. Through gratitude I believe. And in gratitude I receive whatever my heart desires. I give thanks that my mind is renewed in every moment. I am so grateful to be alive. Thank you for my ability to love, which knows no limits. Thank you for the abundance that is coming to me every day. Thank you for the love of the Universe that will surround me in everything I do today. I am truly grateful that I have an abundance of time every single day. I am so grateful that I am seeing the truth of life with more clarity every day. Thank you for my strong character and my brilliant mind. I am grateful that all the wisdom and beauty of the Universe is being expressed through me. I am deeply grateful that peace is appearing in my home, in my heart, and in all my affairs. The most powerful prayer is one of thanks. I give thanks that I am becoming more and more aware every day. I am grateful for the harmony and peace that reign supreme in my mind. I will see and experience abundance surrounding me today. Thank you. Thank you. I am an unlimited being and I have all knowledge, wisdom, love, and power now. I give thanks as I let go of the old and allow the new to pour into my life. I give thanks that my cells are attracting absolute well-being and complete harmony in my body now. I give thanks that my mind is illuminated with unlimited possibilities, and I can see them with clarity in all situations, without any effort. 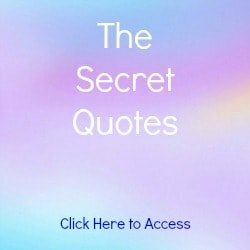 Below are 15 quotes from The Secret Gratitude book. These quotes are from past greats who have attributed their success to gratitude. To read more words of gratitude by past greats, see a list of recommended books here. You will find many of these books available for free here. 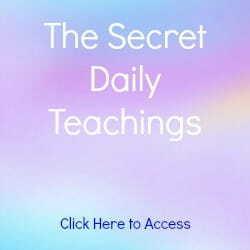 You can visit the official website of The Secret here. Read the The Secret Gratitude Book introduction here and examples of my gratitude here. You may also enjoy The Power book, The Hero Book and The Secret Book by Rhonda Byrne.